The Shapeoko 3 homing switch kit from Carbide3D provides an easy and reliable way to add homing capabilities to your current setup. 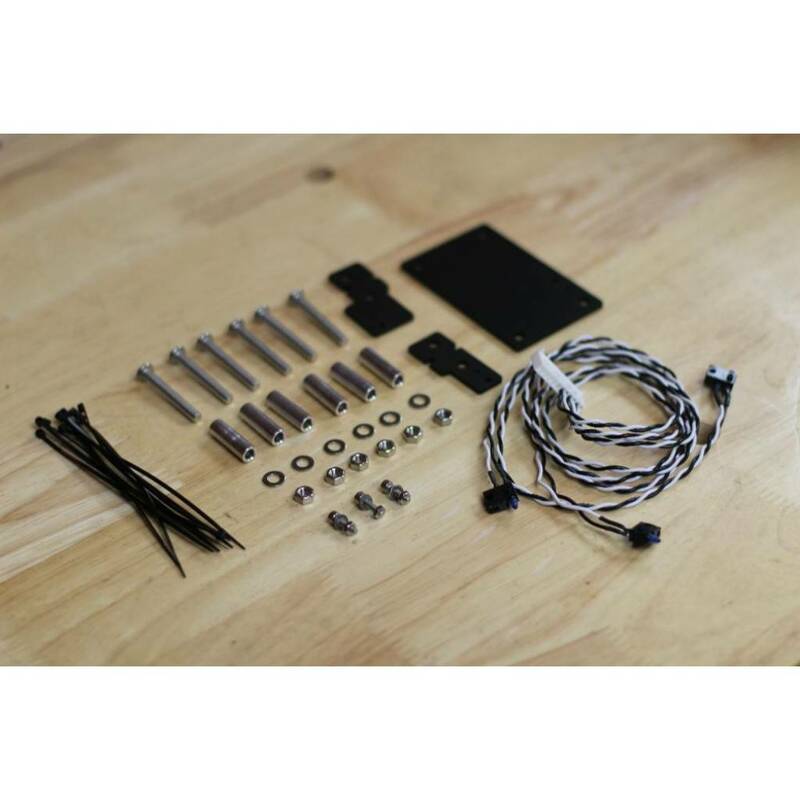 The kit has been professionally manufactured in the USA and comes with high quality microswitches designed for harsh environments pre-wired into a wiring harness with the proper length wires for each axis. The switches are mounted to precision cut aluminum plates that have been anodized (type II) black, and tapped M3 for easily installation. Using the aluminum standoffs you need to only bolt the plates to pre-existing holes, and route the wires to the controller mounted on the back of the x-axis to complete the assembly.